Brasil Guitar Duo, comprised of João Luiz, left, and Douglas Lora, performed at Kaua‘i Community College March 9. Brazilian music is mostly known for the upbeat samba rhythm and its slower cross-variation with jazz that sprouted the Bossa Nova. But make no mistake, classical music has a large following in this vast country, and has produced a string of composers who are well respected and admired throughout the world. 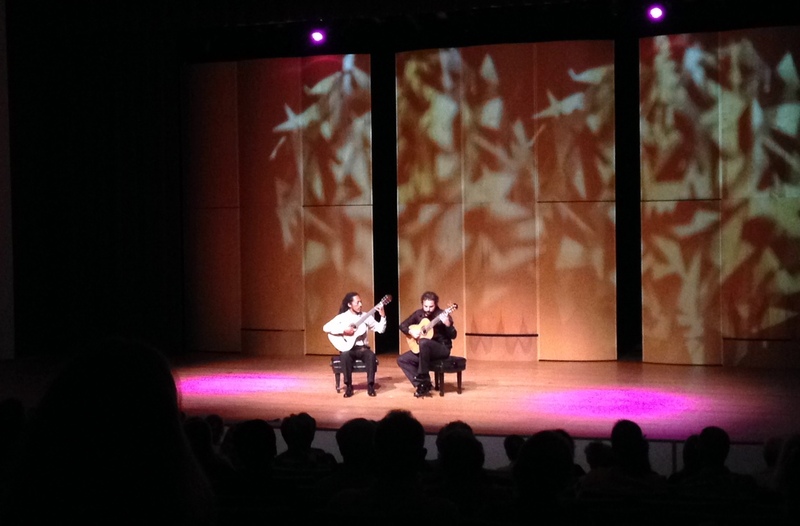 With that said, the Brasil Guitar Duo, comprised of João Luiz and Douglas Lora, delivered an impressive acoustic performance at the Performing Arts Center at Kaua‘i Community College March 9. Armed with two acoustic nylon-stringed guitars — and that’s all they needed— the duo performed a series of original songs and arrangements of classic compositions penned by some of the biggest names in both old and contemporary Brazilian music, including Heitor Villa Lobos, Egberto Gismonti and Edu Lobo. The only sour note was that a shipment problem caused the duo’s CDs to not arrive on Kaua‘i on time, but Kaua‘i Concert Association President Jason Blake said the public could still buy their work in Amazon or iTunes. Lora said he and Luiz loved Kaua‘i and want return here. And if they do, they want Kaua‘i to be their first stop, so they’ll have enough time to enjoy the island. The concert was the sixth of this year’s KCA season. The nonprofit is bringing one last concert of the season to KCC Performing Arts Center. The Hawai‘i-based Galliard String Quartet & Friends — a world-renowned sextet of strings – will perform April 13. 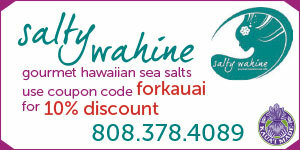 Visit Kauai-concert.org for tickets or more information.